Working on your social media presence for at least 3 to 6 months? Wondering if you’re heading towards the right direction? Considering a new approach to take your social media use to “the next level”? 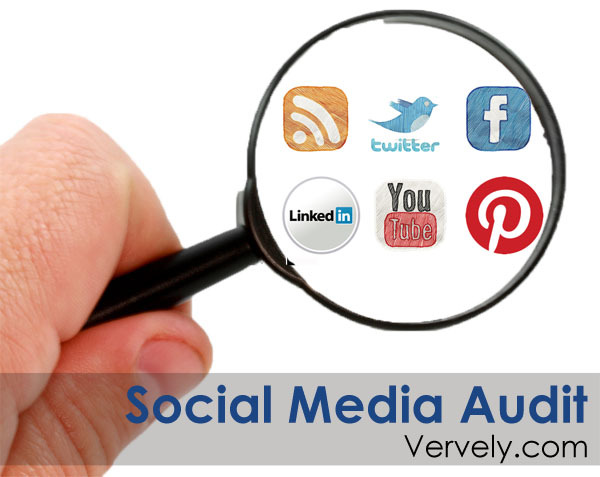 Have you done a social media audit lately? Then, you know it’s time for a social media audit. If you haven’t done an audit before, it can be a pretty daunting task. In fact, the longer you’ve been doing social media without any actual metrics and performance monitoring, the more challenging it can be to put together useful data in order to improve your social media use. However challenging a social media audit might be, it is not impossible. In this post, we’ll share with you a simplified step-by-step suggestion on how you can go about with your social media audit. Step 1: Start with the organisation’s overall business objectives. If you’ve done a social media or content strategy, then this is really just a review to see if your current social media approach is addressing the objectives set forth by the organisation. Step 2: Identify all social media platforms currently being used. This includes other related channels with a social media tie-in, such as newsletters, websites, etc. It’s important to have a consolidated view of your existing social media implementation. List all Twitter accounts, Facebook pages, mini sites, blogs, and other channels that you’re using in social media. Step 3: Create a dashboard or spreadsheet across all social media platforms. Depending on your personal preference, you can use different tools that would help you to maintain this dashboard or spreadsheet in an ongoing and long-term manner. Often, we start an annual dashboard that would fit in information collected throughout the financial year. Each platform is usually allocated a section in the dashboard or spreadsheet. Do you need a Social Media Dashboard Template? Please read the note at the end of this post. Step 4: Collect metrics and other relevant data to add to the dashboard/spreadsheet. This goes back to the social media strategy where you set forth certain objectives. If you’re not sure what to measure, check out our articles on Key Metrics for Content (Part 1) and Key Metrics for Content (Part 2). When explaining metrics, make sure you don’t just mention the numbers. What does it mean to have 15% reach on Facebook? Why is it okay to have monthly 30% growth on following/likes? Step 5: Identify positive uses of each platform and areas of development. This includes non-quantifiable measures, such as branding consistency across the platforms and social media integration between all online communication channels. This may also include things like how multimedia is being used or how content is being produced. Step 6: Provide recommendations for each area of development. Once you’ve identified the best practices and areas of development in each platform, offer some suggestions on how to improve. For example: better use of hash tags (explain how), how to link to other websites on the blog, etc. If necessary, provide links to useful resources for further learning. However, make sure that your recommendations cover actionable tasks that can be implemented. Step 7: Define success measures. If this has already been set when the social media strategy has been created, this is a good time to review if the initial goals are achievable. If not, make sure that you study the metrics based on at least 3 months worth of historical data available across different platforms. See what the pattern might be and develop new goals and success measures based on the collected data. Step 8: Plan for ongoing maintenance, continuous development, and tracking of information. Decide how often you would need to update the dashboard. Would it be a weekly data collection and reporting? How about monthly? Perhaps, quarterly would suffice? You might also consider noting down when will the audit be repeated. Would you need your social media use to be audited on an annual basis? How about 2 to 3 years? This is just to make sure you stay on track and allocate resources according to what is working. Need help in carrying out a Social Media Audit for your organisation? Contact Vervely and avail of our services! We can customise a social media audit based on your specific needs. How to Write a Social Media Audit – This is a guideline provided by SEOptimise. Social Media Communications Audit – This is a document that offers a very comprehensive guidelines for nonprofits to conduct a social media audit. It is published by NPower. How to Conduct a Social Media Audit – This post at Social Fresh offers some ideas on what types of things to look out for in a social media audit. We’re making our Social Media Dashboard Template available in the July, August, and September 2012 issue of our free monthly e-newsletter. If you’re not subscribed yet, please make sure you subscribe to Vervelycious. The password for this template will be made available exclusively to our subscribers. After the September 2012 issue, the social media dashboard template will be made available to the general public for a small fee.